Located in Rajasthan, the Udai Bilas Palace, Dungarpur is a 19th century palace nestled amidst the Aravallis. 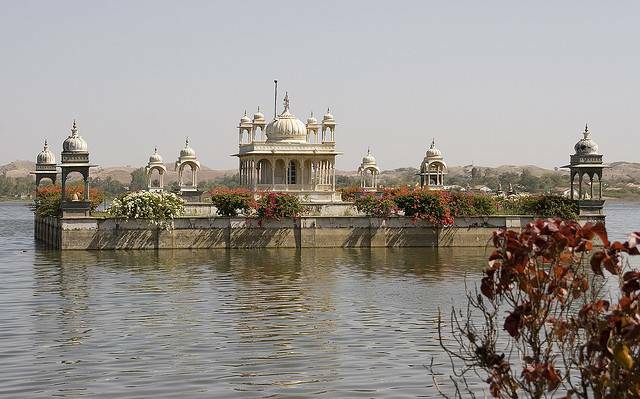 Maha Rawal Udai Singhji had built this palace which overlooks the lake and allures tourists from all over. Made of a bluish grey stone, the Udai Bilas Palace, Dungarpur on the banks of Gaibsagar Lake is simply a magnificent structure. It has now been converted into a heritage hotel. The Udai Bilas Palace, now a heritage hotel, reminds you of the old world charm of Rajput lifestyle. One can relax in the spacious well furnished rooms of Udai Bilas Palace. The antique furniture, royal portraits and glittering chandeliers invoke the vintage flavor of the era gone by.